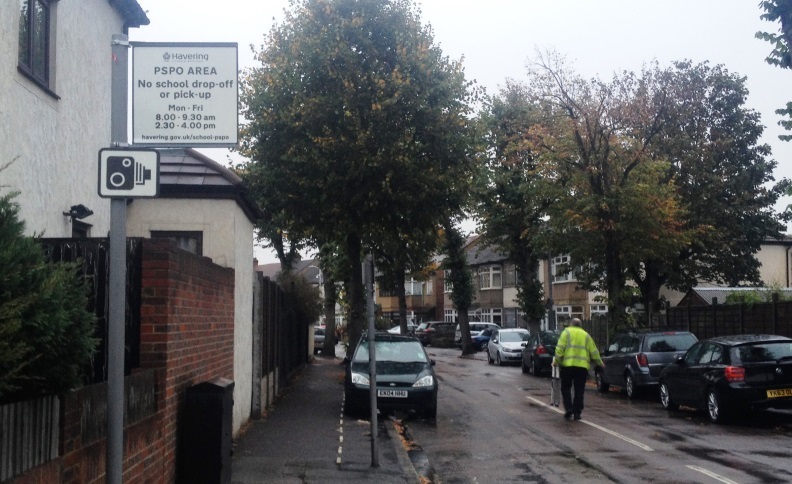 The UK’s first ever Public Space Protection Order (PSPO) has been successfully introduced to help protect children in the streets around a primary school in Hornchurch. A number of roads close to Wykeham Primary School in Rainsford Way have been subject to PSPO restrictions since Monday (7 November). The PSPO was introduced following support for the idea from parents and local residents during a consultation process earlier this year. The dropping off or picking up of school children between 8 and 9.30am and between 2.30 and 4pm within the PSPO is now prohibited and offenders may be fined £100. Anyone who commits three of more offences may be brought before the Magistrates Court, which could result in a fine of £1,000 and a criminal record. This applies to vehicles dropping off school children including hire cars or taxis. Vehicles used by parents, carers or relatives of registered disabled children attending the PSPO school may be exempted if such vehicles are notified to the Head Teacher of the PSPO protected school. No special exemption or licence is required by residents with cars in the PSPO area or other vehicles entering the PSPO area for purposes other than dropping off school children. The James Oglethorpe Primary School in Upminster and Parsonage Farm Primary School in Rainham will be covered by PSPOs from Monday 14 November and Engayne Primary School in Upminster from Monday 16 January 2017. The PSPO area will be monitored by cameras mounted on upgraded streetlamp columns and by the Council’s enforcement officers patrolling the streets around the school during the designated times.